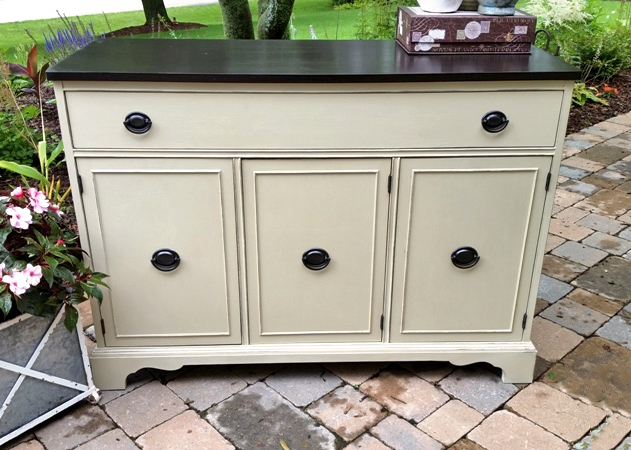 Divine Duncan Phyfe buffet transformation by Studio Paint using our "one coat wonder," Java Gel Stain! To recreate the finish, we suggest Millstone Milk Paint on the base and High Performance Top Coat to seal in the goodness! "This classic Duncan Phyfe buffet was made by Knechtel Woodhouse Furniture... I stripped, sanded and gel stained the top surface with General Finishes Java Gel Stain. I did three coats to achieve this deep brown colour."